Happy Friday, crafters! 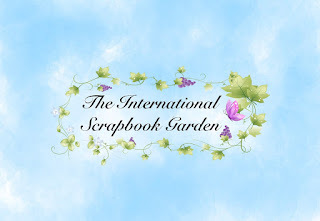 Today I have a layout I created for the International Scrapbook Garden Design Team, featuring the Toolshed: Winter Adventures kit. 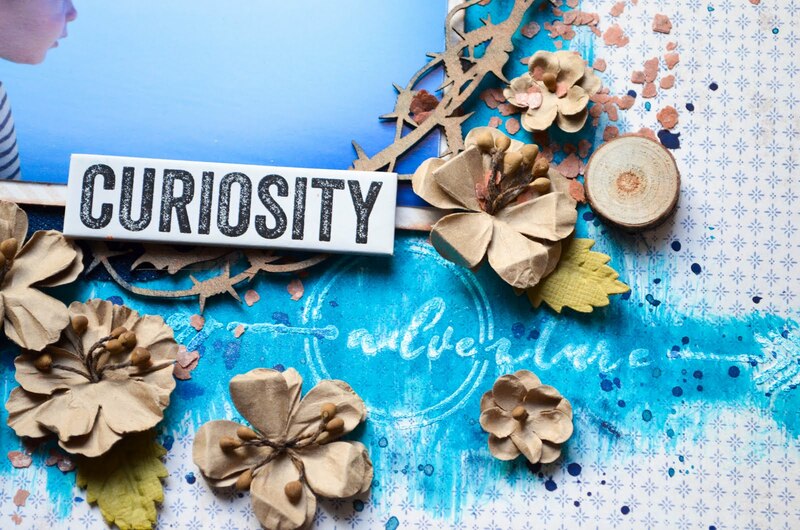 The kit features the gorgeous Maja paper collection Denim and Friends, and I am over the moon for it. That polka dot paper I used for the title (Paisley B-side) may be my favorite paper. Ever. You don't get the full effect of it here, because I only had a scrap left over after creating my last project (Pure Delight), but I had to use up every little scrap. I know you scrappers know that feeling: when your heart does a little pitter patter of contentment when you find something you just luuurve. 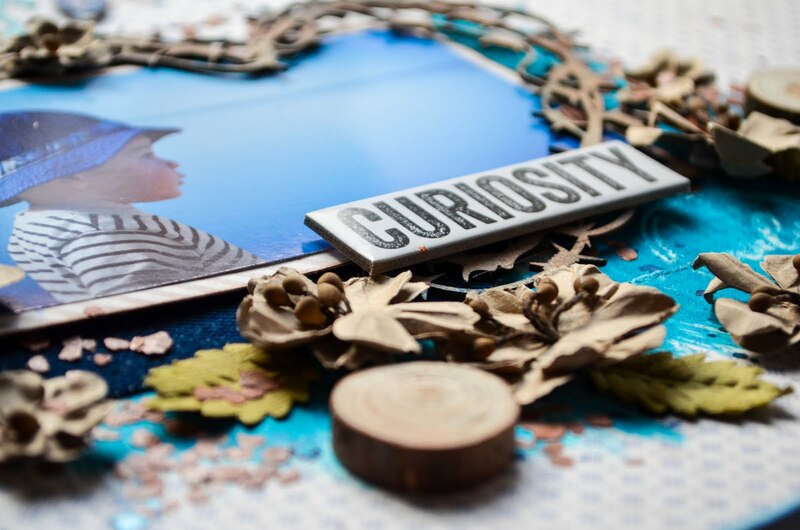 The kit also includes goodies from 49&Market, Tim Holtz, Gabrielle Pollacco, and more. Scroll down for details and to the bottom for a complete list of products used. I love the natural elements in this kit. They appeal to my rustic side and love of the natural world. Getting that on a scrapbook page is so exciting! The barbed wire heart frame from Creative Embellishments is a fun way to frame our boys in our hearts! 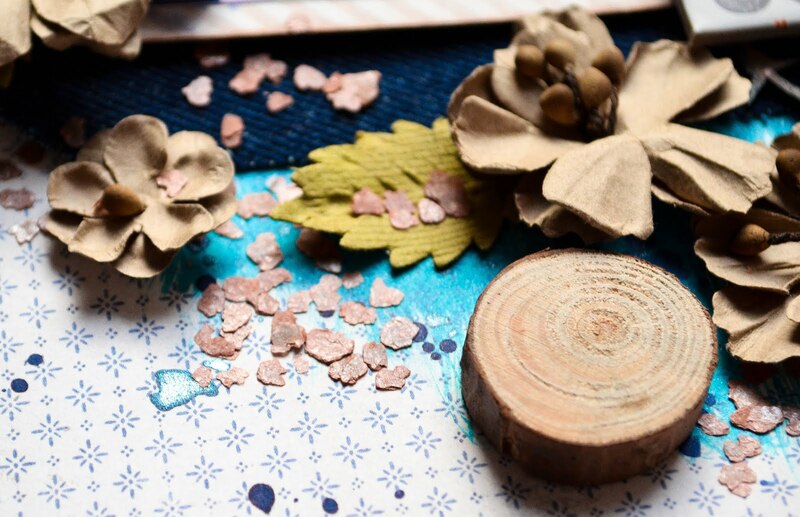 The 49&Market Garden Seeds Flowers in Linen are beautiful paired Tim Holtz's wood slices and nature's glitter: mica flakes. 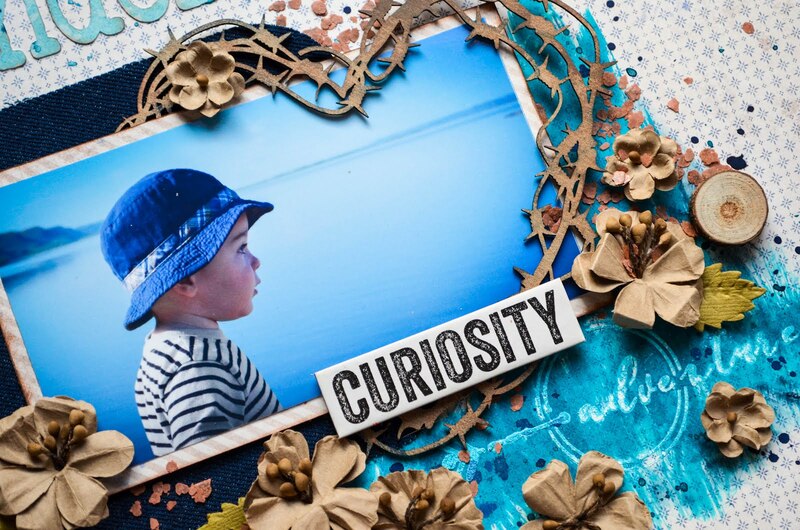 Gabrielle Pollacco was one of the first scrapbookers I discovered the online scrapbooking community, and I was so excited to find one of her templates in the main kit! I used the DecoArt Snow-Tex Snowflake Paste from the mixed media kit over the stencil and dry brushed over it with Kaisercraft's Kaisermist in Denim (also in the mixed media kit). 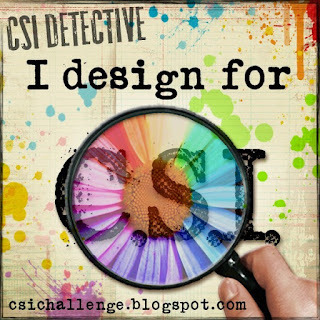 Don't forget to join our Facebook Group for more inspiration! Well all I can say is WOW! This is stunning! Really stunning! 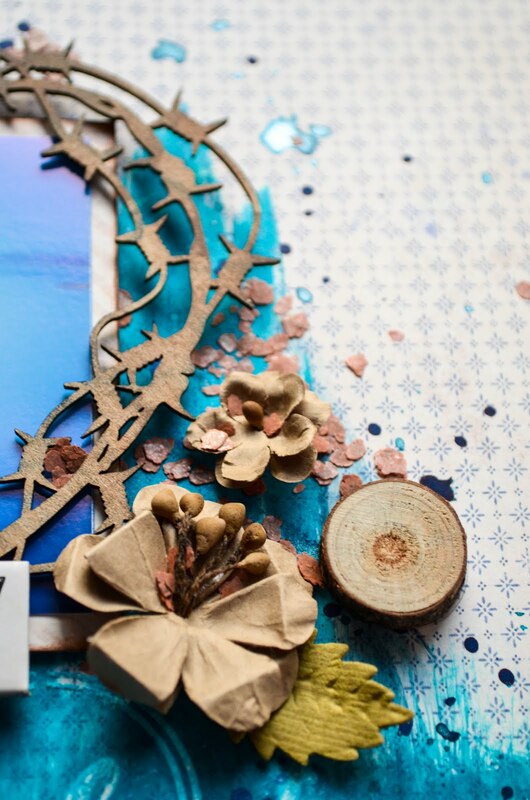 LOVE the rustic elements with the blues and that photo is fabulous! What a beautiful layout! I can feel that your whole heart went into creating this! LOVE it!!! ok - I had to come back again and make another comment - ha! 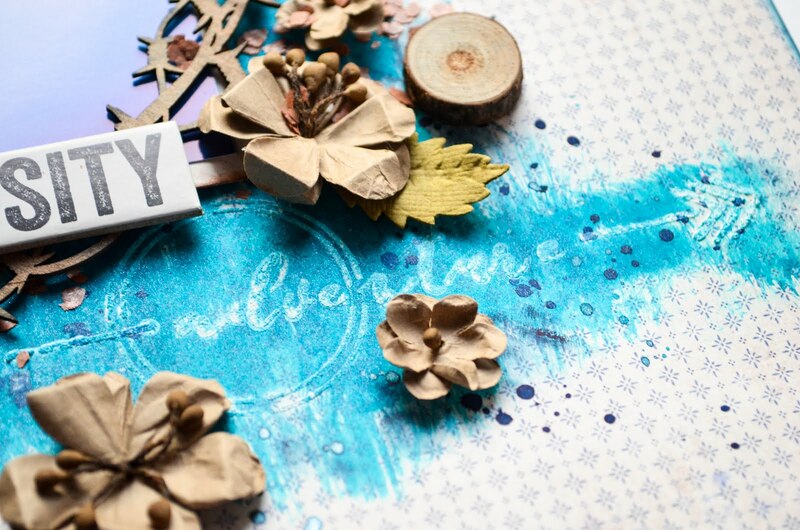 What you have done with this beautiful Maja Designs Denim & Friends paper is just unbelievable! This layout is sooooooo creative and sooooooo wonderful to just look at! WOW! Carrie, you really out did yourself!